I don’t like to set a new year’s resolution. I like to set many new year’s resolutions. And it’s not because I’m an over-achiever type, (which, if you know me, is a laughable concept at best). No–the fact is, if I set one big goal like “give up chocolate” I’ll fail before February. Guaranteed. But, if I make 20 or 30 small resolutions, a handful might actually work out. And you can’t fight math like that, people. So, in addition to my typical personal goals to loose weight, live healthier, get organized, and find the perfect possum shaped rhinestone brooch, I thought I would add a list of blog goals for 2012. Then maybe next year at this time I can check off a few and y’all can hound me to get working on the rest! 1. Learn to properly use my camera’s manual mode. See the blurry shooting star images above? Bethcha thought I was all sophisticated and stuff, right? 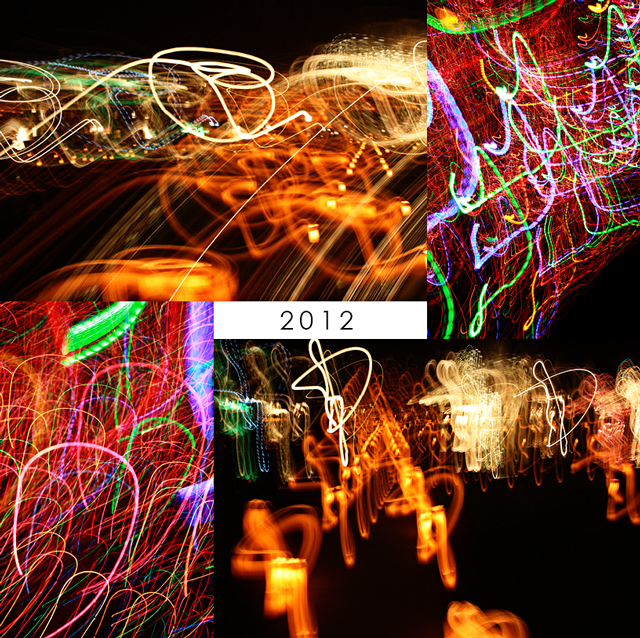 Betcha’d never guess this was my 57th attempt to manually shoot Christmas lights last week. 2. Get a handle on video editing software. So many of the things I want to share don’t lend themselves to simple photographs –some simple videos will speed things up big time. 3. Open an online store (ie. Etsy, etc). This has been on my mind for years. This is not likely become a major source of income, but I know how good it feels to make a dollar off of something made with my own two hands. I want more of that feeling. And I like money. So there is that. 4. Take on select sponors. Emphasis on select. As you can see, over in the sidebar, I joined the Blogher ad network last year as a way to underwrite supply costs. But there are a lot of small businesses that could never afford to buy into a major ad network like Blogher. Rest assured, this site will never become some annoying flashy pop-em thing with posts about crap I got for free, BUT, I also know that keeping sponsors will mean I will be obligated to post on a regular basis –instead of my current twice-a-week one week, and ten-times-a-week the following; taking on sponsors will mean this blog turns from a Hobby Thing into a Part-Time Job Thing. This is not something I take lightly, and there may be some bumps in the road, but I’m hoping you will bear with me. 5. Post on a regular basis. I posted gift wrap ideas every Monday in December and it worked out surprisingly well. Now I’m tinkering with the idea of scheduling regular column or two. Let me know if you have any ideas or requests –I’m all ears. No RSVP required. Click here for Details. 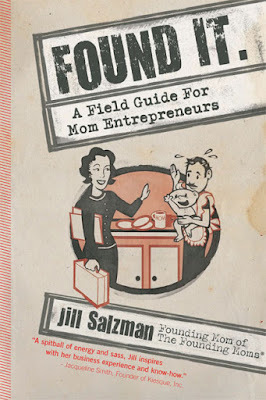 Founding Moms is an amazing organization with oodles of resources and for Moms and entrepreneurial types in general. I know a lot of you are running small businesses from your home or are wondering how to get started. Well here you go! Can’t make it on the 12th? Founding Moms have meetups all over the US. Check it out! *About the comment box. I know–its a pain. So, above the empty text box, on the right, there is a thing that says “LOGOUT” –click it. Then. Type your comment as usual. Before submitting it will ask you to enter an email and name (hey can be fake). I hate ask people to do this but the Blogger comment platform was letting through tons of Spam bot comments every day –like HUNDREDS. Everytime I opened my inbox it was crazy. I could put up one of the captia word scramble things but those are annoying too. One day I’ll find a solution –til then I have to use this Disquis service as is. On the upside, I can write direct responses to specific comment. Like this! And I agree. Plenty of blogs out there where everyone is just doing nicey-nicey stuff and throwing pretty parties. Not that I’m knocking them–It’s all good, but it’s a little too Mrs. Dalloway for me. I think people are much healthier and productive when they let their crazies come out to play. I would LOVE to read an Algonquin roundtable type blog. And too bad Dorothy Parker is dead. She was one cool lady. I bet she would have a kickass blog!! I LOVE what you share and you always make us laugh. Those of us who enjoy you, have stayed along for the ride…and comment…while laughing along with you, while sharing our memories too. I’m like tracylee with no blog, but comment quite often. No time to keep one up (or is it my imagination that it takes a lot of time??? When you or Michelle make WONDERFUL pics showing how you make something, I mean, WOWee!!! I know –you always leave the best comments too. Wish you were in Chicago! My new year’s resolution is to stop talking to myself when people can hear me. That sounds like a joke, but I’m dead serious. I look like a nutjob with alarming frequency. I’m really looking forward to the book launch. On the Owl Scale of Quality, it’ll be a hoot-and-a-half! Hah! And here I’ve always thought I was the one being weird and stalkerish for emailing bloggers whose work I love… but sometimes it’s worth stepping out of my comfort for me to do it anyway, when I have something to share, and no blog of my own. Glad to hear I’m not the only one walking the line between “OOH, wanna share!” and “Maybe I ought to just shut up…” I started blogging in September and am definitely still in the awkward, I don’t wanna bug people phase. Thank you for the perspective! Tracy, you have always been great with sharing and feedback –I can only imagine how much the other bloggers you follow appreciate it (I know I do!) I would wager most blogs (that are not password protected) are written by folks who just want to share –hearing from you means their mission was accomplished. That’s about the best complement you can give. I know what you mean…It’s a fine line. I’m 100% confident if I published every post currently left in ‘draft mode’ you would think this site was just the ramblings of a crazy person. Maybe it is. Maybe that’s not a bad thing! Happy New Year! Looking forward to more great posts from you this year. Too bad I am nowhere near Chicago, i’d love to come to the event. NO ETSY!! You know why. Just have a yard sale a few times a year. Or blog about what you want to sell and sign up for Paypal. I think it is perfectly normal to want to vent. Only those people who feel like listening to the ramblings will tune in. And, then we can comment in a crazy rambling’ way. I get really sick of blogs by “normal” people that decorate for every holiday, (except probably Martin Luther King Day), that give recipes loaded with sugar and fat, that have words written on their walls, and have Dollar stores around the corner that they visit twice a week. I didn’t even have a high school sweetheart to marry. Why can’t we have the Algonquin Round Table version of a blog? This is great resolution list! I would love to get a handle on the manual setting on my expensive camera I’ve never taken off of Auto mode. 😛 Good luck beating those resolutions into submission this year! Love your list and I totally get (or rather don’t get) the Twitter resolve. I just can’t seem to get a handle on it. Good luck with your Etsy. Amen to the resolutions, sister. My resolution is to make something (other than a mess or food) every week. That’s it. What fantastic goals…it’s quite the list, too! I’m right there with you trying to learn how to properly use my camera. We just got a 50mm lens at Christmas and it’s amazing! Best of luck and I can’t wait to see how your goals progress! Opening an online store would definitely be a good source of income. With the amazing wealth of information available to us nowadays online, it is understandable why so many Moms don’t take the leap as they are scared or misinformed. 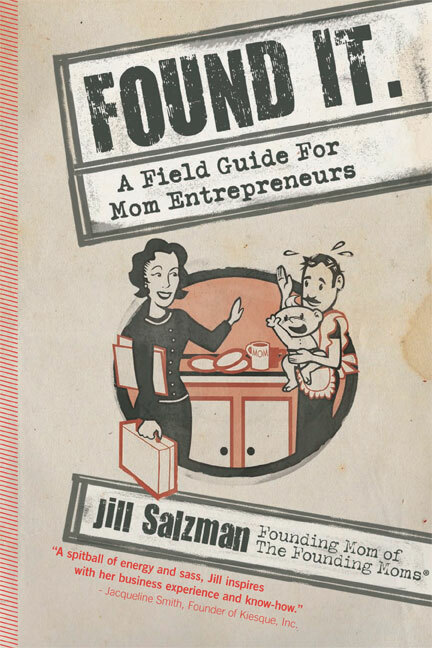 FOUND IT: A Field Guide For Mom Entrepreneurs is an awesome book for mothers who wants to start their own business. My friends recommend it to mompreneur wannabe and they want to share the success they achieved because of this book.